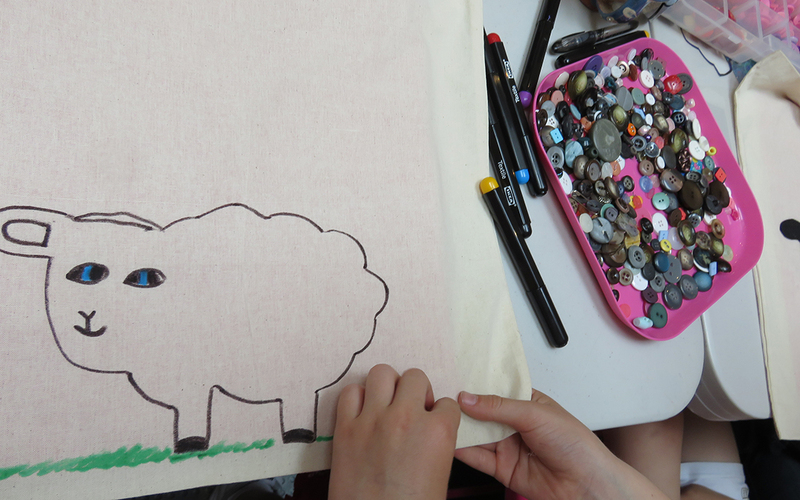 Shaun the Sheep plays it cool. 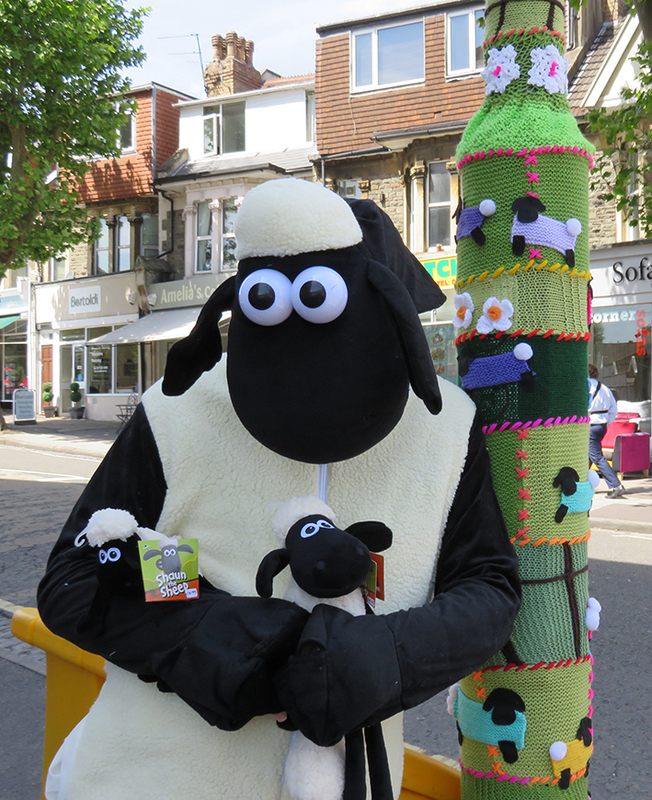 Shaun the Sheep – the popular cartoon character from Aardman Studios, Bristol’s world famous animation company is being celebrated with a series of decorated sheep statues being deposited in a trail throughout Bristol (and London). 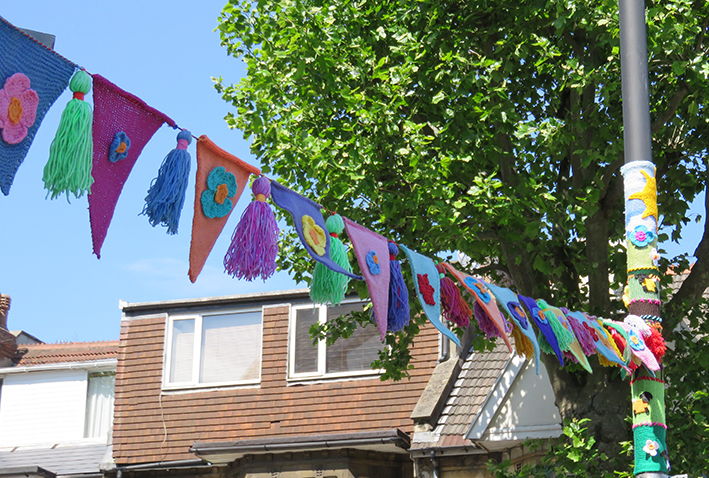 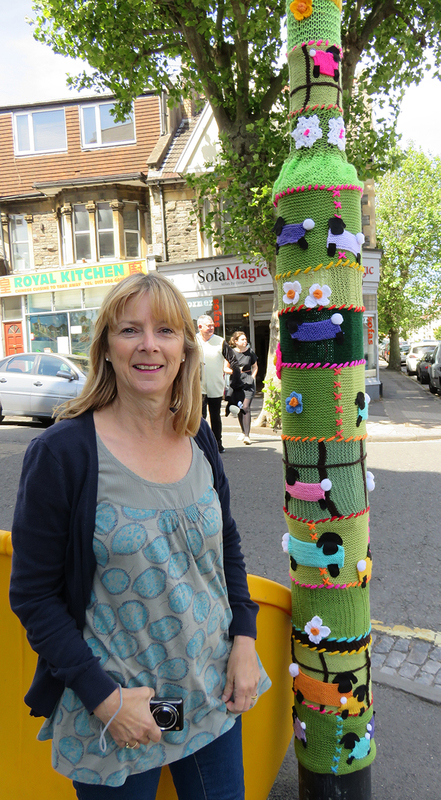 The local high street community, including Heart Space Studios, has sponsored a sheep sculpture and he arrives in the first week of July….meanwhile Heart Space have decided to welcome him with a knitted yarn bombed lamppost and bunting. 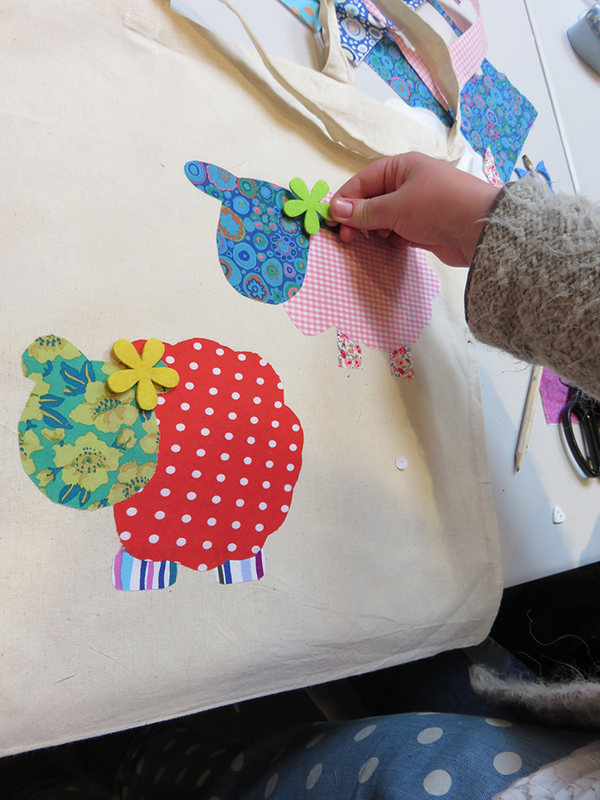 So to add to the funds we once again, by popular request, ran a children’s workshop this time to decorate bags….Paula also helped out with this – I kept well out of the way, just occasionally took the photographs….it looked very lively in the main studio..
we had provided sheep patterns for the sheep, prepared fabrics with bondaweb, found buttons beads, eyes and all kinds of stuff to play with. 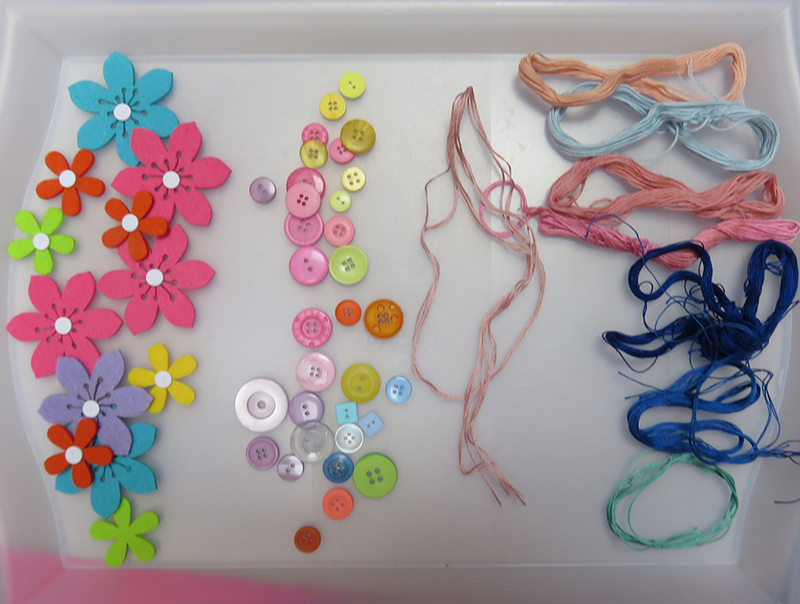 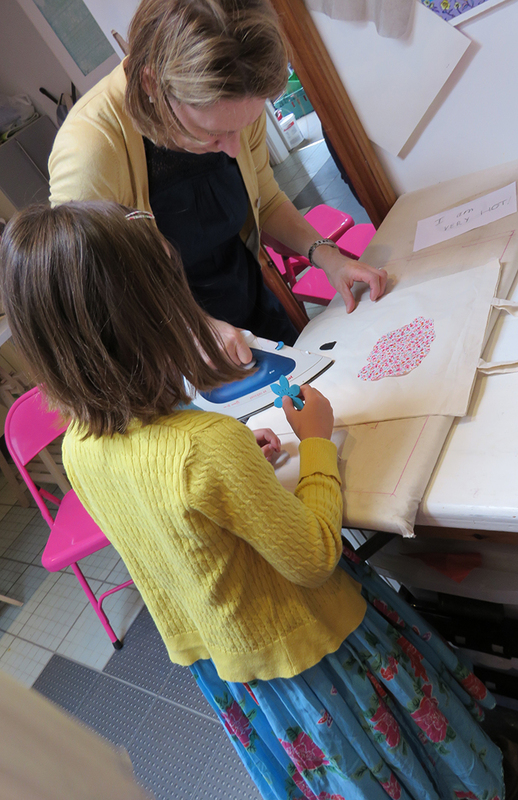 everyone joins in the making session. 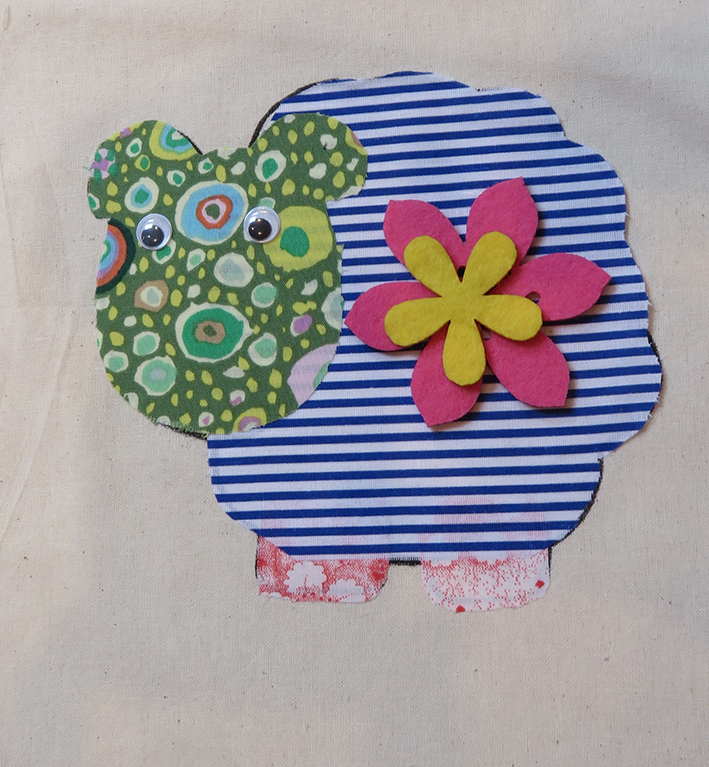 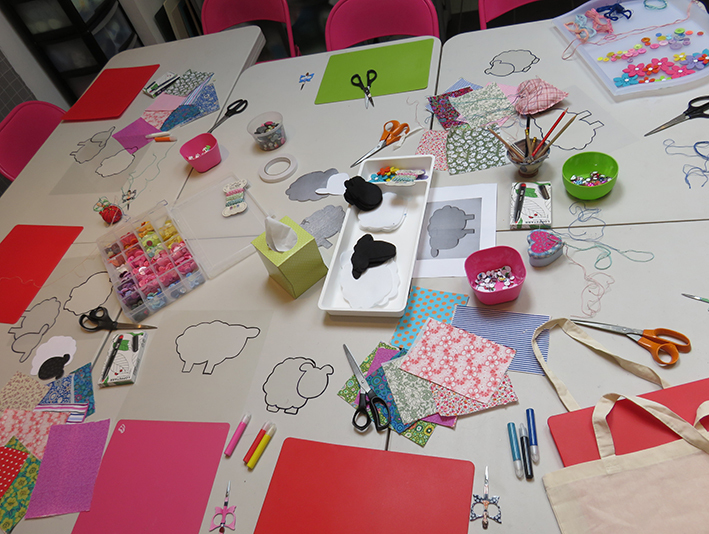 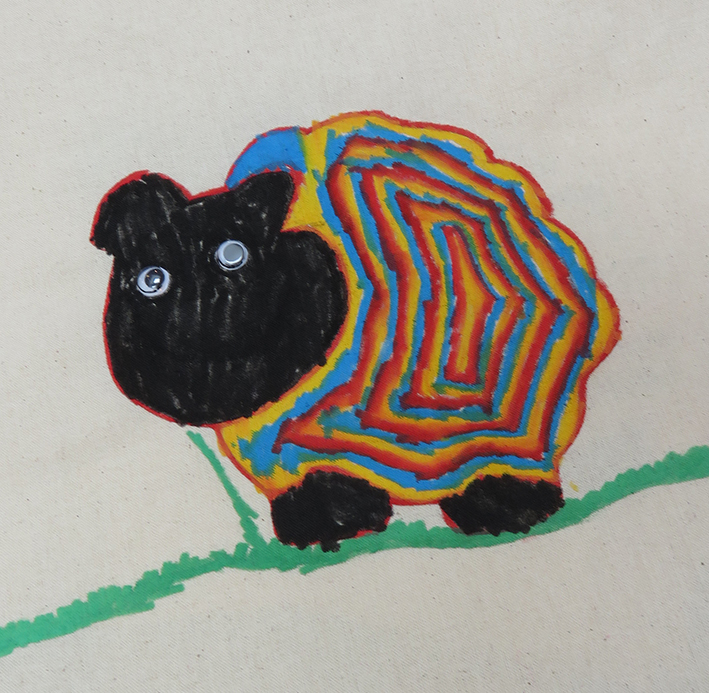 we also had boys making their own characterful versions of sheep …..
now that’s what I call a pig ready for a party! 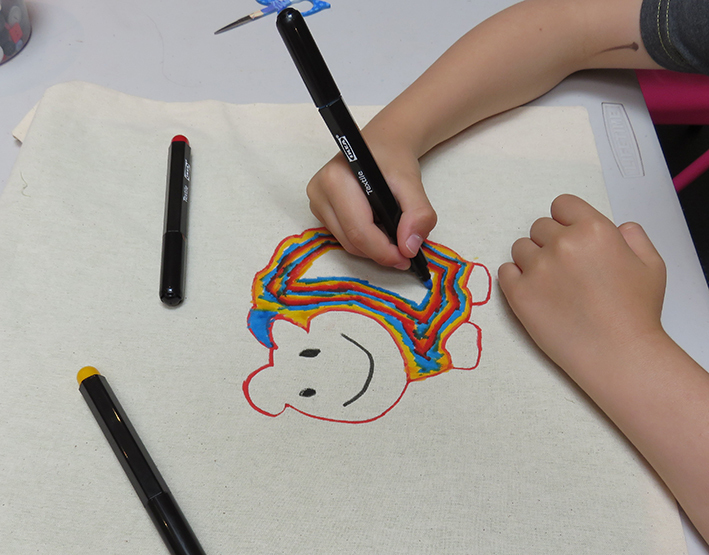 choices, choices choices….the children’s imagination knew no bounds when it came to decorating the simple drawn outline. 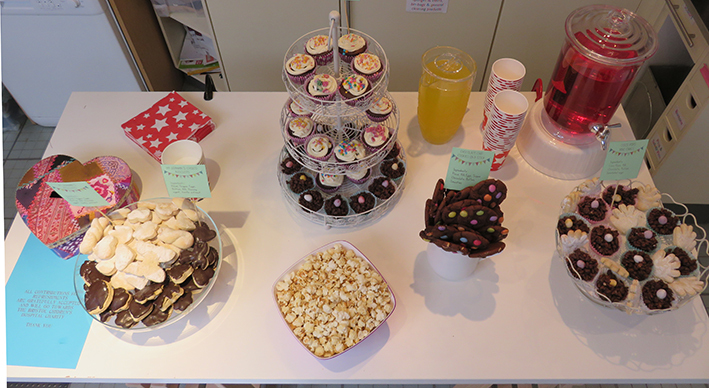 the table full of wonderful hand made cakes and biscuits from Ilaria and her mother..
and everyone had to be photographed as they left the studios. 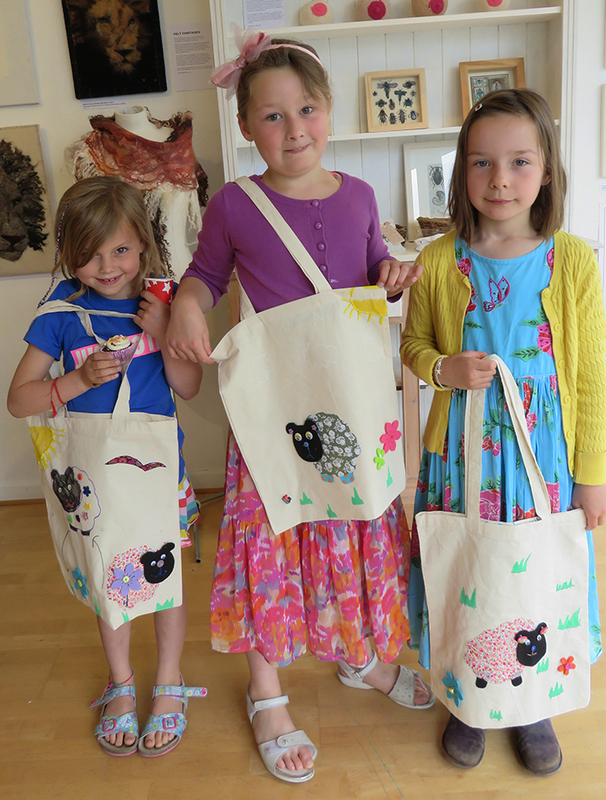 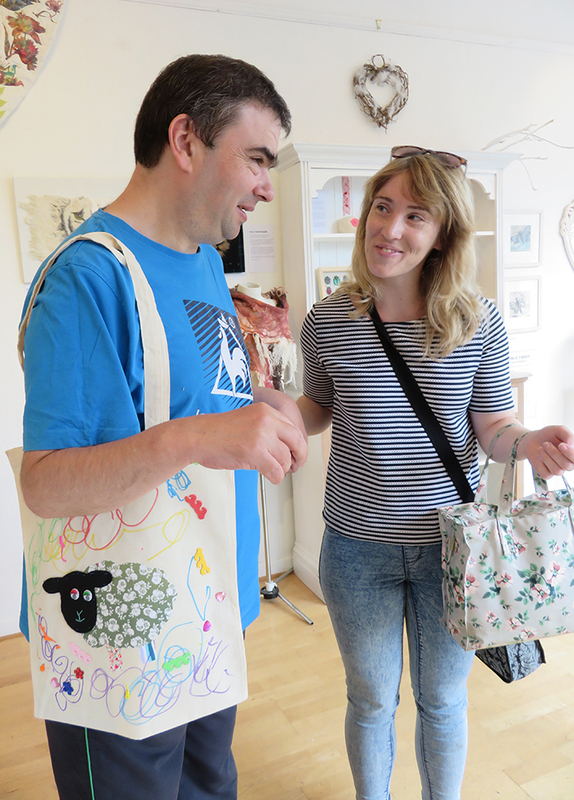 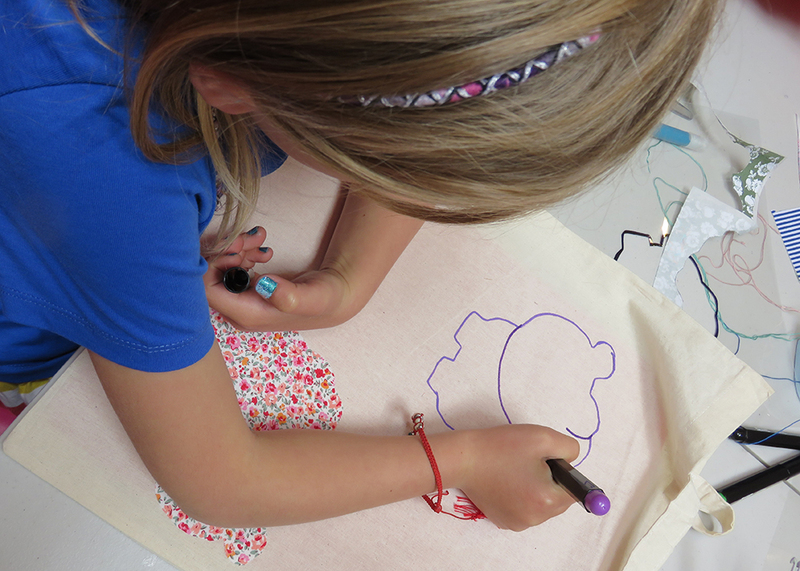 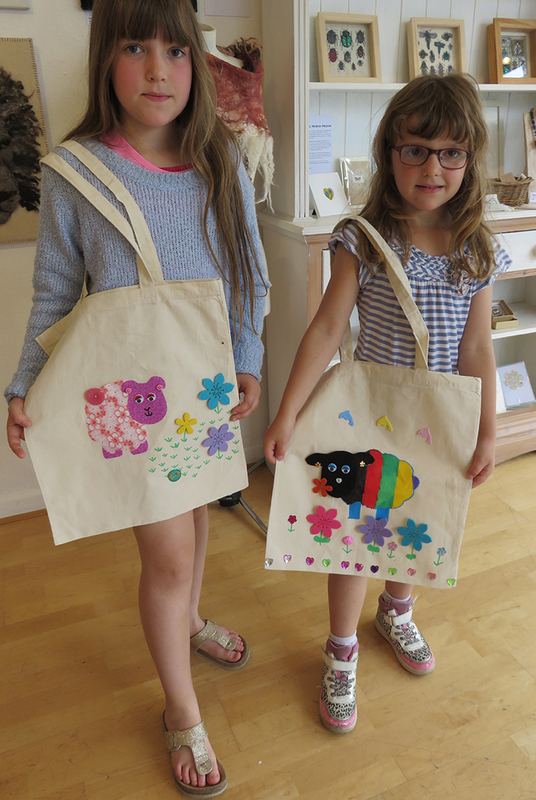 we had lots of happy people leaving with their own very personalised bags…. 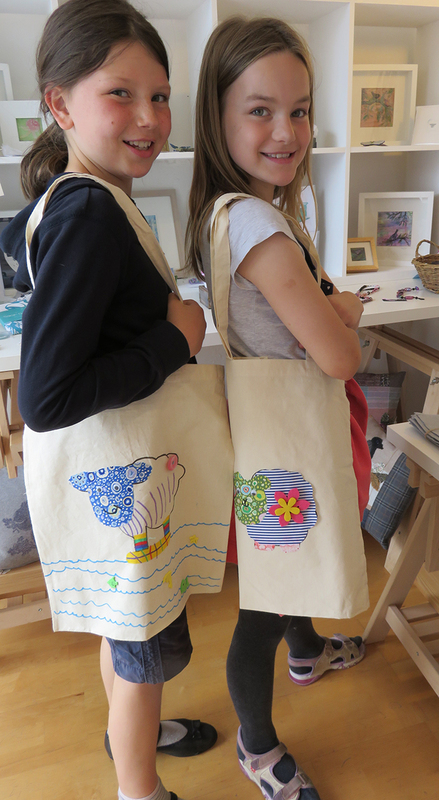 and we raised money for the charity as well. 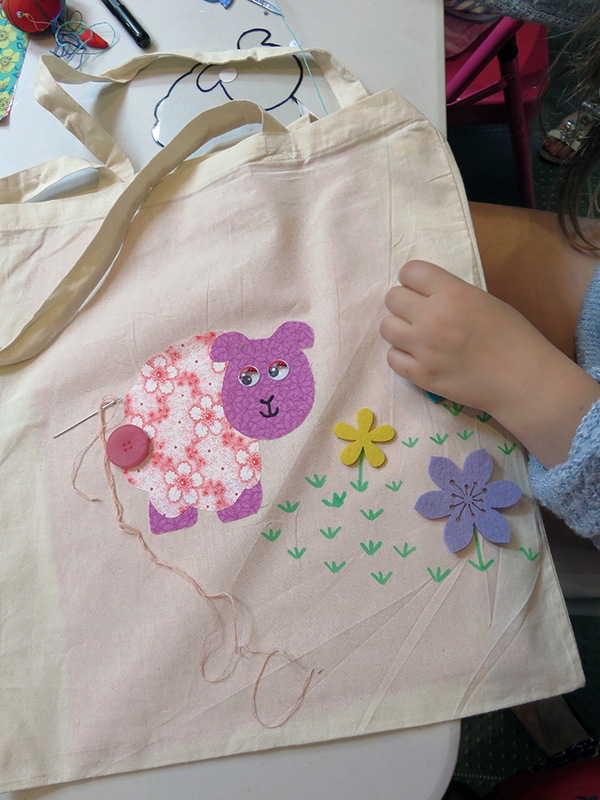 Categories: Heart Space Studios, Make - Do and Mend | Tags: children's workshop, making sheeps eyes, shawn the sheep | Permalink.